The female body naturally produces oestrogen, and estriol is used to mimic the activity of oestrogen. 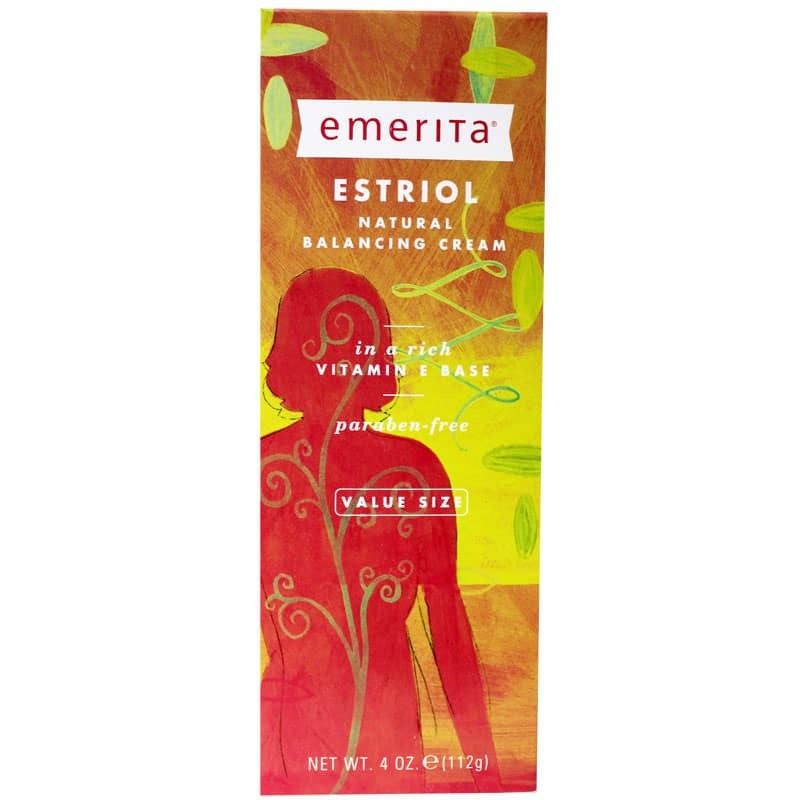 Emerita's Estriol Natural Balancing Cream promotes the balance of oestrogen in the body and helps to alleviate problems caused by too little of it (also known as menopause). 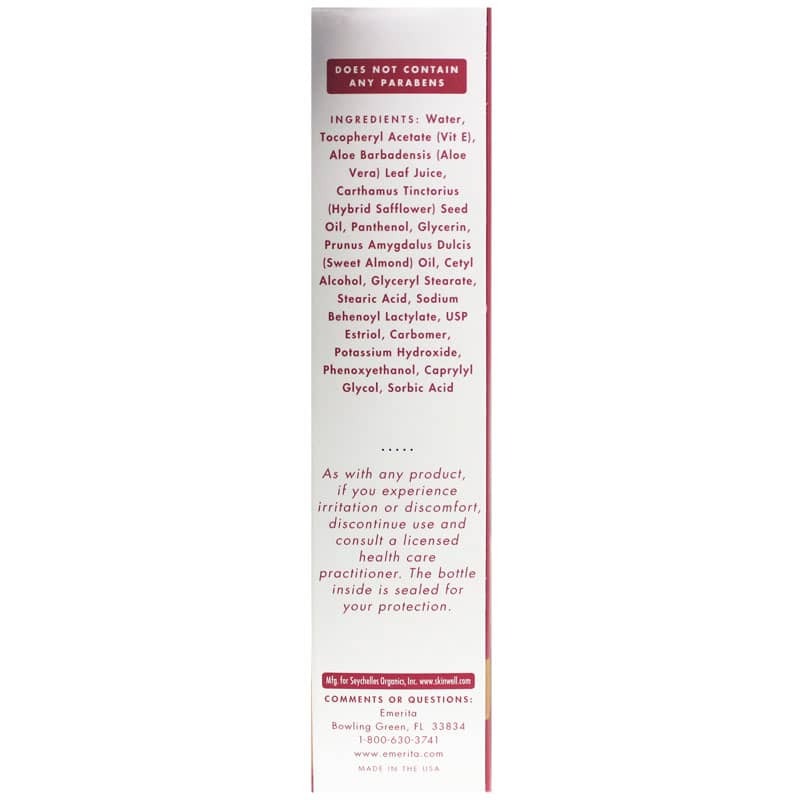 Emerita's Estriol Natural Balancing Cream isn't tested on animals and contains absolutely no mineral oil, parabens, petroleum, or animal products of any kind. Massage a dime-sized dollop (about 1/4 of a teaspoon) into your skin twice a day. 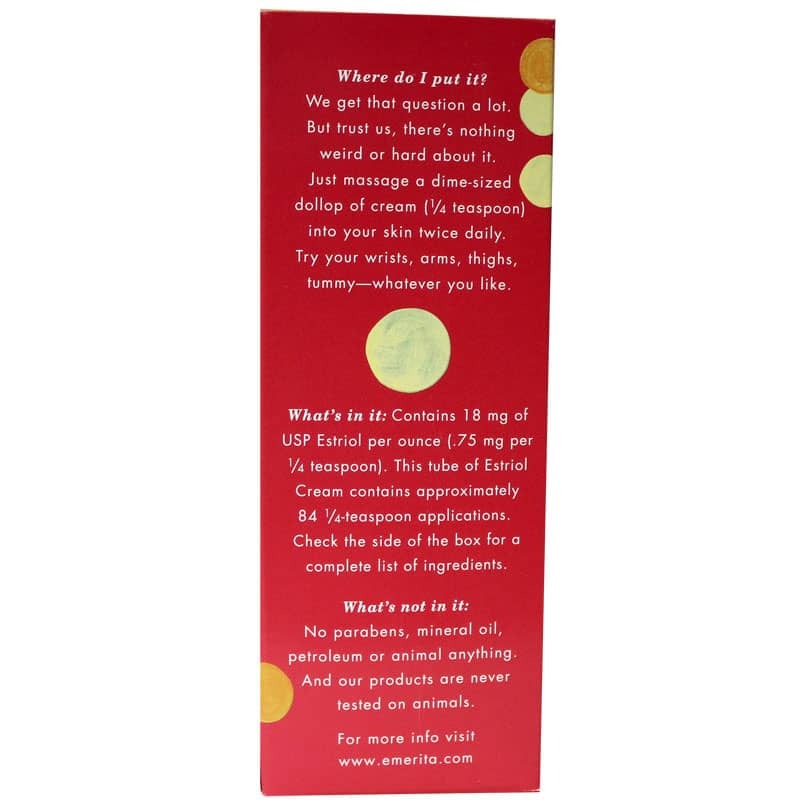 For a natural way to relieve symptoms of menopause and lack of oestrogen, try Estriol Natural Balancing Cream from Emeritas today! Adults: Massage 1/4 tsp (about a dime-sized dollop) into your skin twice daily. Try wrists, arms, thighs, tummy--whatever you like.